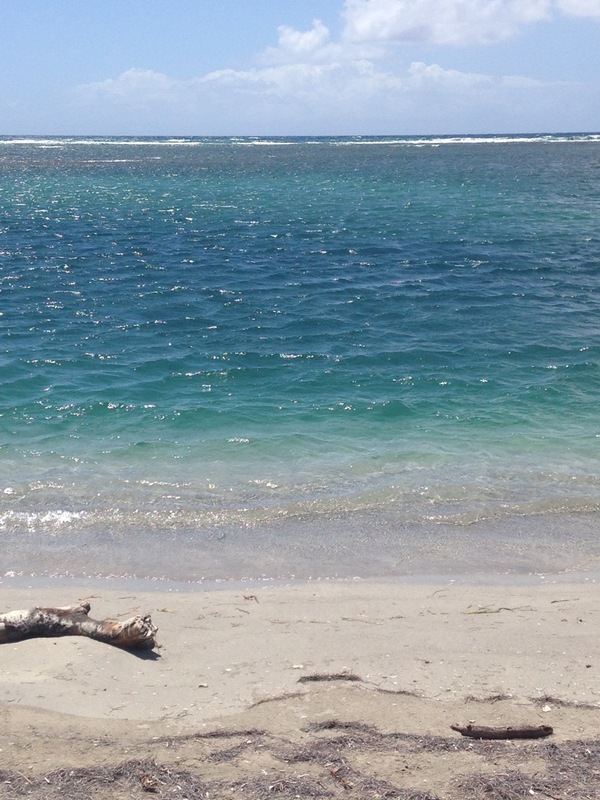 A south coast beach, inside the reef. 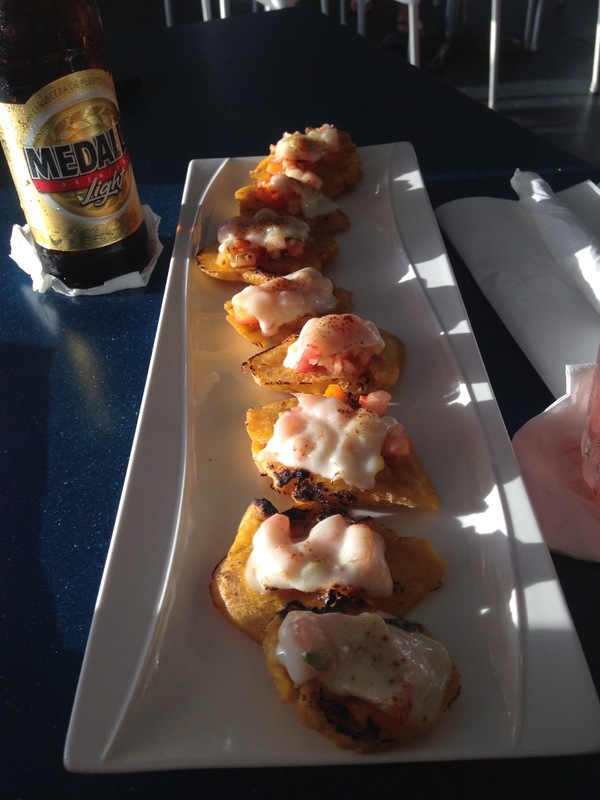 Puerto Real: After anchoring in Puerto Real, we head in to find a hot meal we didn't have to cook. We wander around town looking for a restaurant, grocery or the bakery our friend's frequented. 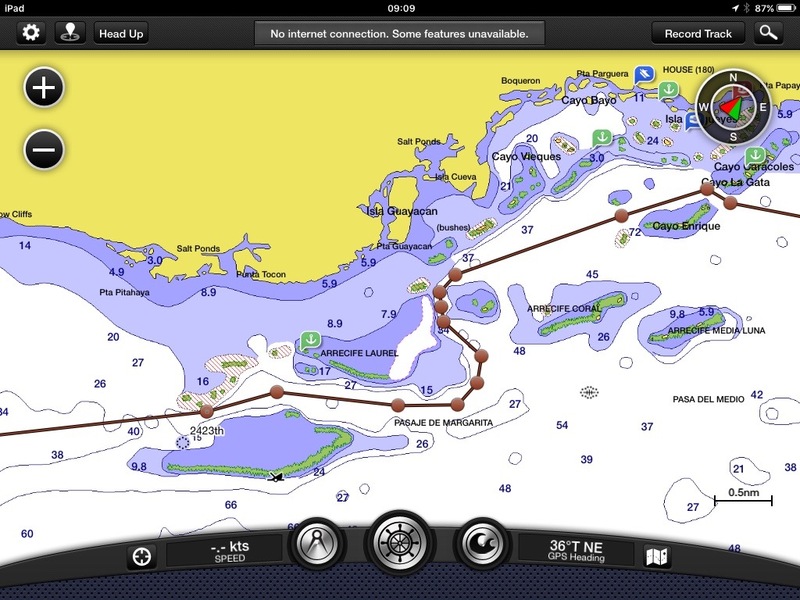 All we come up with is a locked marina restaurant and some very dark bars which resulted in stares when we slowed. Dejected, we return to the boat. The marina employee doesn't speak English and our attempts at communicating only resulted in more rapid fire Spanish. A phone call to Jose, the marina manager (who speaks excellent English), gets us a rental car reservation for the next day. The next morning with our "Spanish for Cruisers" and some pantomiming, we are handed the phone and Jose explains the car is $35/day and it is $10/person/day to use the marina ($20 for use of the dinghy dock, laundry, showers). We are more than willing to pay for marina services when we are anchored out, but after purchasing fuel and renting a car this seemed excessive for what this tiny marina has to offer. One washer/dryer--outside. Showers next to the fish processing building. No "actual" dinghy dock. (We had to scramble up a wall.) We'll be departing as soon as we do some provisioning! The roads in Puerto Rico are much better than the Dominican, but the drivers are still crazy (or maybe we aren't used to driving anymore). We quickly find the WalMart, which has a FULL parking lot on a Wednesday morning. We score several of the DVD's we were planning on ordering, replacement iphone/iPad cords and a new wireless keyboard. 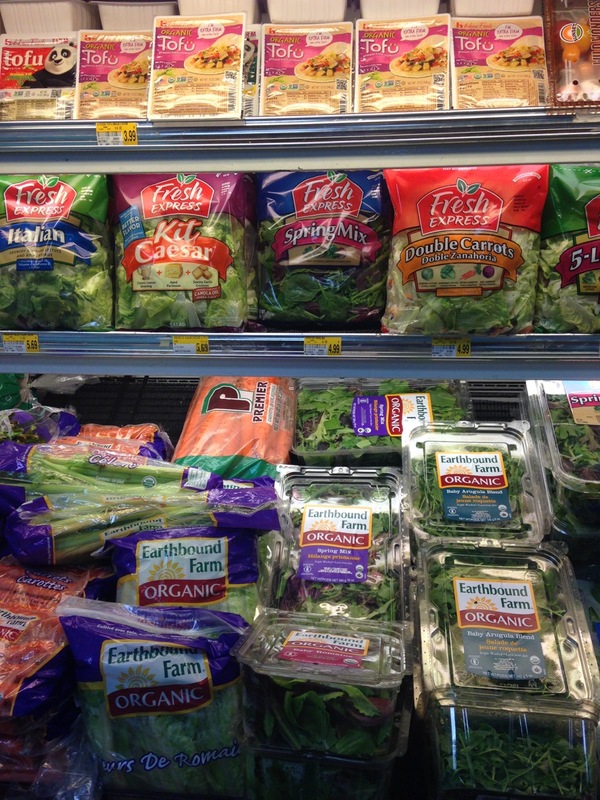 I realize there is a grocery section but I've reached my overload and we decide to bolt. As usual at WalMart, the lines couldn't be any longer, but our cashier makes me smile when he looks up holding Game of Thrones season 5, saying in English "I love this show!" We need a form notarized and don't have any luck at the local bank, but they give us excellent directions to a lawyer (in a strip mall sandwiched between the condom store and night club). Surprisingly my "Hola. Habla Ingles?" results in the gentleman standing behind his receptionist to say, "Hello, what can I help you with?" He promptly notarizes the form, charges us $35 and gives us directions to the nearest mailbox. Shockingly, those directions were also excellent and we're off to PetSmart. Daddy takes over and picks out assorted food and Greenies while I grab litter pan pellets & pee pads. We're out of there in record time for $100. Yikes! Anybody want a "free" cat? 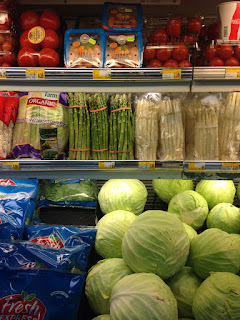 These pics were taken to torture out vegetarian friends who went to the "wrong" grocery store & ran out of veggies. Seriously, veggies without having to make a second stop at the vegetable stand! 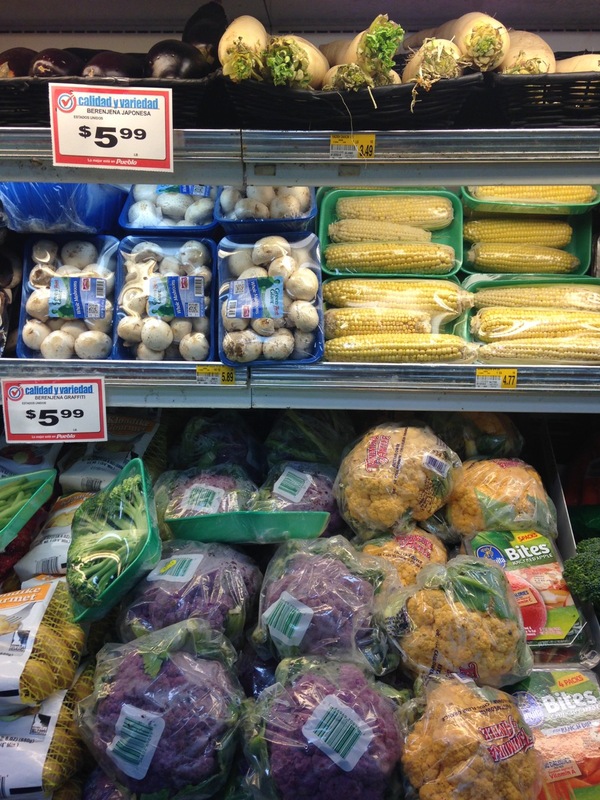 and two kinds of cauliflower! 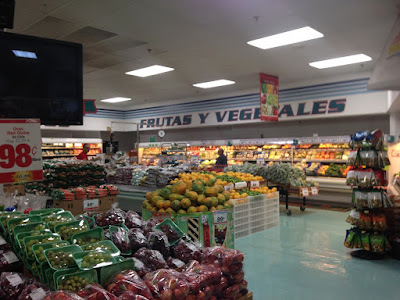 We attempt googling and texting friends to find best grocery store in Mayaguez (data access on my phone! Yeah!). With conflicting info and running out of steam, we opt for the Pueblo grocery next to the PetSmart. Score! 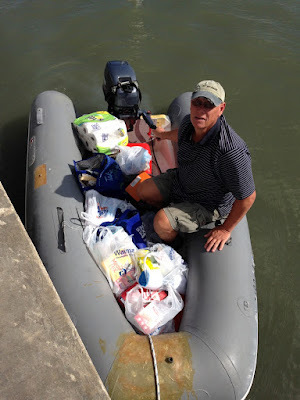 They have almost everything on our list and we happily bolt back to the marina in time for showers & laundry before dark. 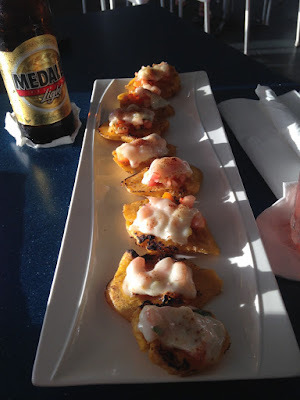 A Tu Gusto at Puerto Real marina. Smashed plaintains with cheese & salsa while waiting on laundry. YUM! 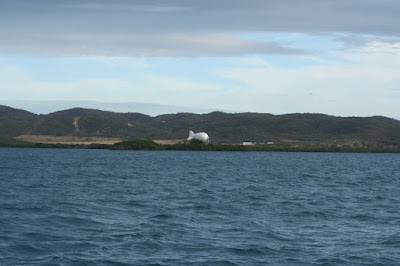 Cabo Rojo: We depart Puerto Real at sunrise for a short hop to Cabo Rojo lighthouse anchorage (skipping the party cove in Boqueron). 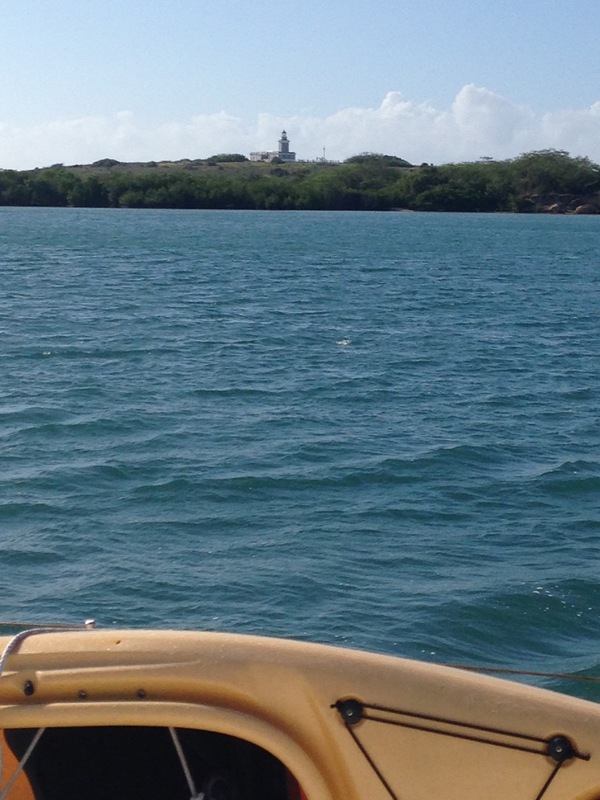 We tow the dinghy since it is a short hop and regret it as we round Punta Aguila to tuck into Bahia Salinas. 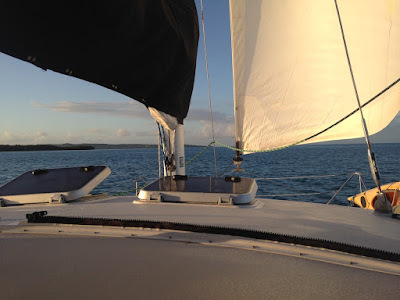 We arrive before the trade winds are supposed to kick but realize PocketGrib and Windfinder woefully underestimate the winds on the south coast of Puerto Rico (15-20 kts on Offshore report vs 10 kts). 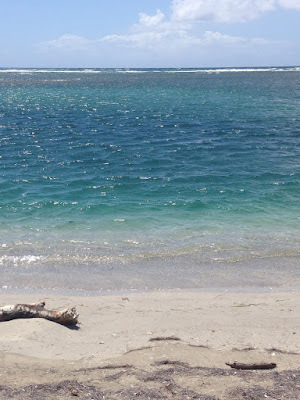 It turns out that not only do the trade winds kick up the waves after 9:00 am, but they are almost always short period (less than 8 sec, a more comfortable ride), so even 3-4 ft waves are choppy--another technical sailing term and more than we like to see when towing the dink. This is also our first "shallower than charted" experience! 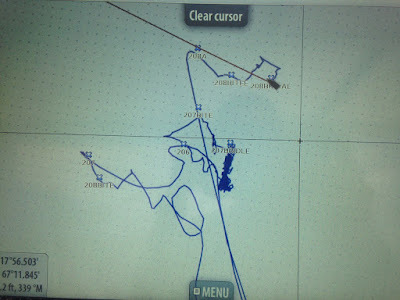 With a Simrad chartplotter with Navionics Gold, iPad Garmin BlueCharts combined with Active Captain and a guidebook, we're usually pretty comfortable coming into an anchorage. However, while trying to "tuck up under the lighthouse" (VanSant) we were suddenly in 7 ft of water, where there should be 12! Then there was the whole, "Are we dragging" thing above. Weird. NEXT! Stats: Total time 1:57, avg speed 5.2 kts, total mileage 10.1, motor sailed. 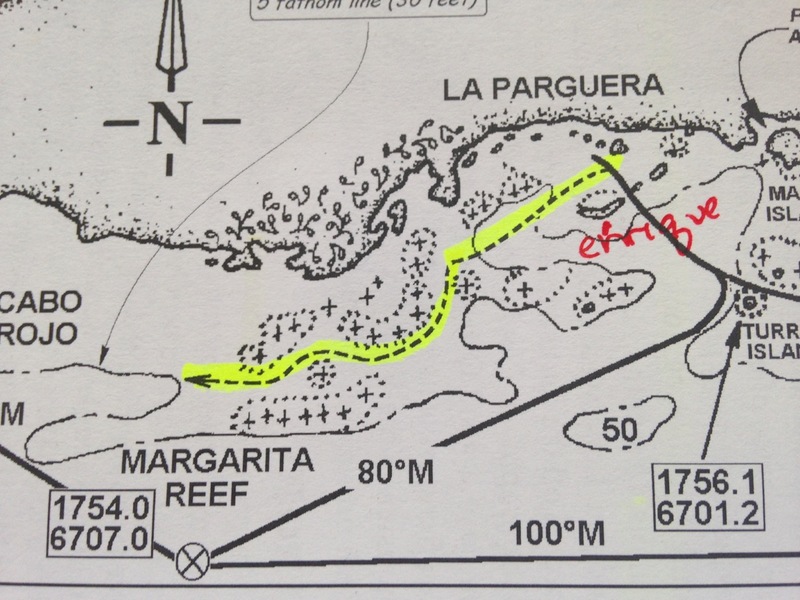 La Parguera/Bahia Montalva: After being pinned down for 2 nights (morning winds were 15-20 kts before sunrise! 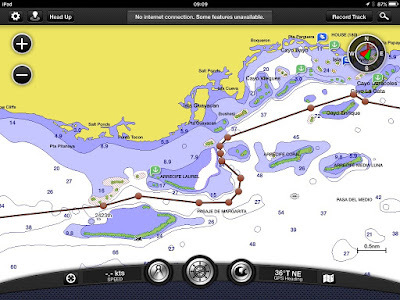 ), we bolt around the point before sunrise. 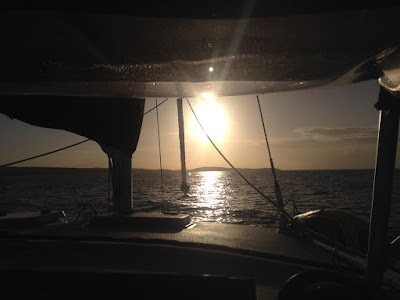 We only need to cover 5 miles to be behind the reef in protected waters for the 15 nm leg, but the winds pick up to 20 gust to 30 as a small squall passed over head. We actually consider turning back, but after consulting the weather radar app, we continue making decent head way to the short cut depicted in the VanSant book. (Ah, weather radar, how I've missed you!) Our friends on Kelly Nicole are texting current conditions from the far side of the bay. As we turn behind the second reef, the winds let up and the sky turns blue. 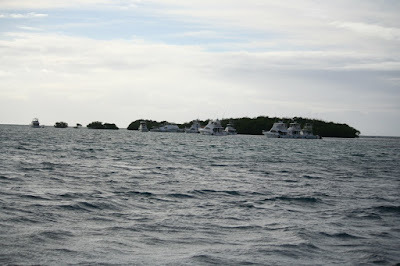 Ahead of us, we can see the Cayo Enrique anchorage is full of sportfish on the moorings, anchored and rafted up. Yikes! The inner anchorage, closer to town, is supposed to be LOUD, and of course, we've shown up on a holiday weekend. We proceed across to the quieter Bahia Montalva and drop in front of Kelly Nicole. We neglect to notice the boat ramp off our port side. Luckily, after departing in the morning, the local jet skis and power boats disappear for the day and reappear at sunset. At least we made a nice slalom course for them. 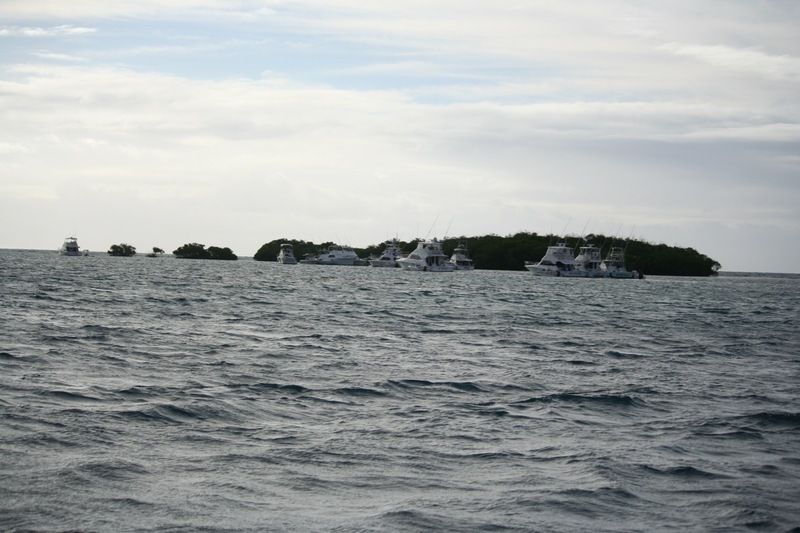 The sportfish fleet taking up the mooring field. Supposedly, they never move. 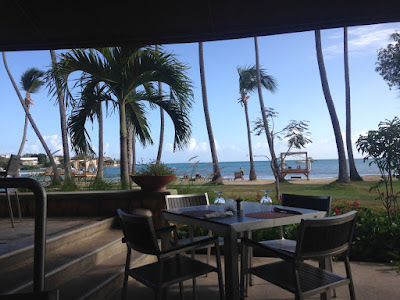 It is too windy to do much kayaking, snorkeling, etc but we make it over to Kelly Nicole for happy hour. There was Dewar’s involved and Spyro Gyra. That’s all I have to say about that. 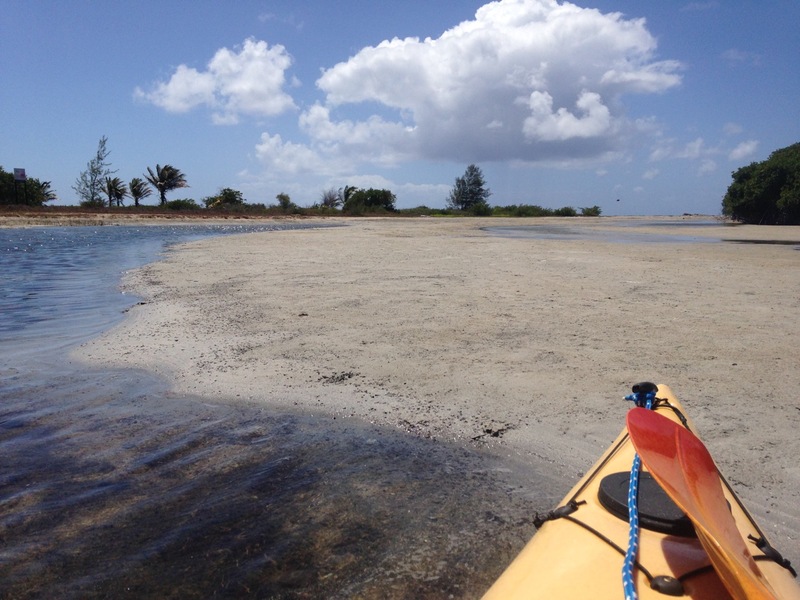 We are RIGHT NEXT to the Bahia Fosforesente (phosporescent bay) and neglect to dinghy over. Next time. Stats: Total time 3:06, avg speed 5.0 kts, total mileage 15.4 nm, motored 2 engines. 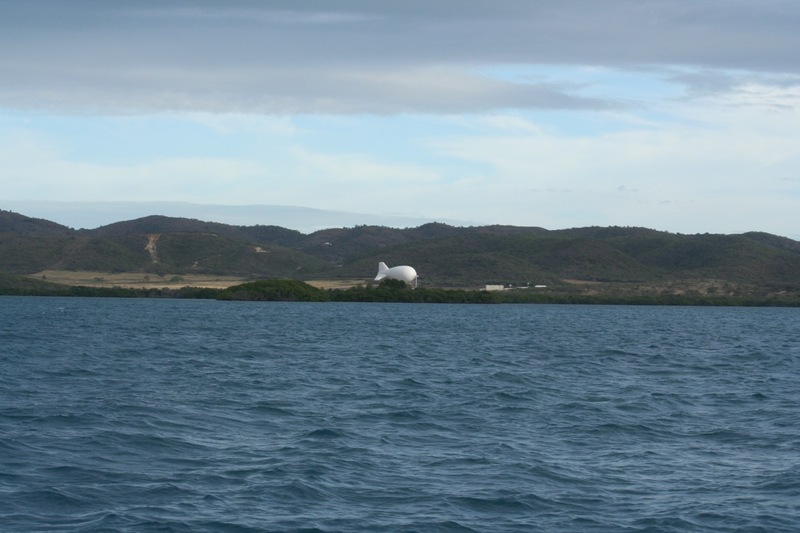 The varied coast of PR and a weather balloon? Gilligan's Island/Cayo Aurora: After 3 days in La Parguera/Montalva, we have a weather window to move the 12 miles to Gilligan's Island. Yep, that's really what they call it. (Actually the locals call it Guilligans.) We depart before sunrise, pulling up anchor ahead of Kelly Nicole. We elect to go back out and around the reef instead of cutting through. 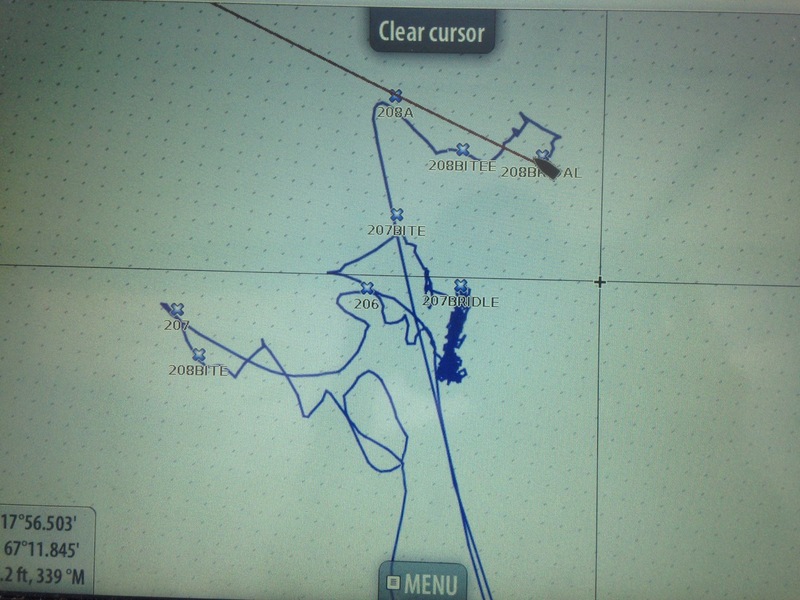 As we turn back east, we see the lights of Kelly Nicole headed through the reef. They lifted anchor 15 min behind us and are suddenly in front of us. Dang it! 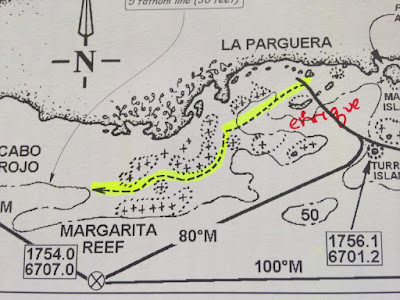 We follow them to the Guanaco channel markers where they peel off for Ensanada while we continue across and tuck up in a nice, shallow and sheltered spot off of Gilligan's. The kayak was splashed for a reconnaissance of Punta Ballena, a shoaled in area with lots of birds in the mangroves and that ends in a half moon beach with a trail head. A loop of the north end of the bay reveals the other creek is also shoaled in. We dinghy around to Copa Resort for lunch. It’s a busy resort with lots of families on the beach, at the pool and taking the ferry out to the island. (A few sailboats are moored and anchored on this side and it looks pretty rolly. Yes, that’s a technical sailing term.) We enjoy a nice lunch on their patio. 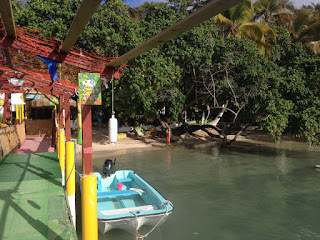 The next day we explore Gilligan’s by dinghy. The beach facing the anchorage doesn’t give us access to the rest of the island (unless you want to climb around in the mangroves. That's not as easy as you would think). The east channel around to the reef side of the island is also shoaled in. We head down toward the moorings installed for powerboats and decide to tie off, because “how deep could it be?” Yeah, that was me. We didn’t have on our bathing suits but decided to wade in the 3 ft deep water to the beach, since that seemed to be where the action was. 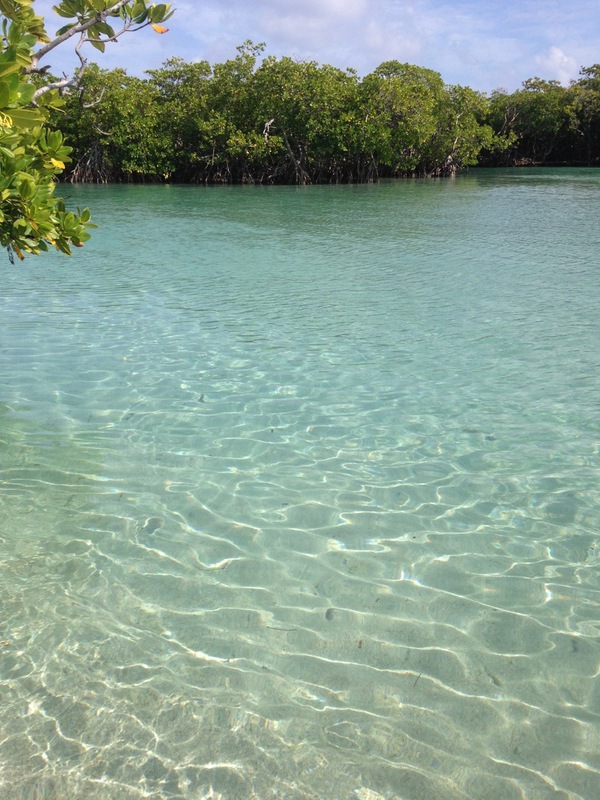 We were surprised to find a beautiful lagoon that runs through the middle of the island with sandy, mangrove beaches full of vacationers. 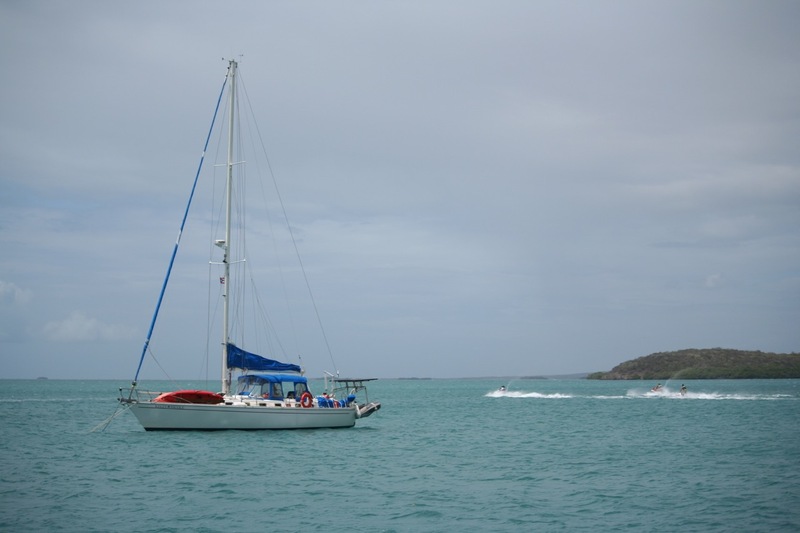 We dinghy around the west end of the island and are able to get to the 4 ft of water between the reef and the island with a dive mooring. Tomorrow. We load up our snorkel gear and tie up at the ferry dock instead (because we’re in our bathing suits and don’t want to get wet?!) 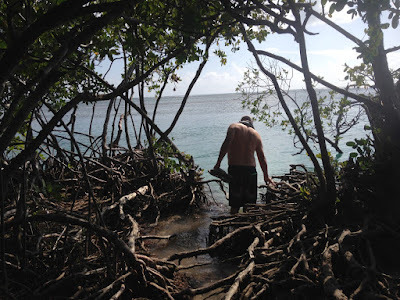 We walk across the island to a spot The Captain found the day before, hoping to snorkel back to the mooring ball. As soon as he’s in the water, he said, “Plan B. Strong current. We’re going this way.” A tourist excitedly tells us about the nurse shark he just petted and points. Yeah, I’m going the other way. 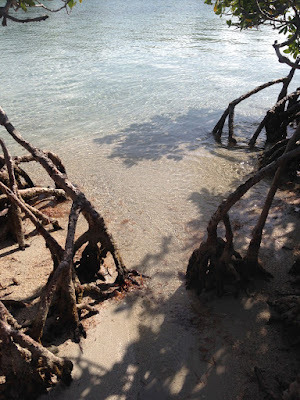 Visibility wasn’t great and there wasn’t much life until we rounded the corner near the swim beach and ended up in very shallow water at the base of the mangroves. It was like a fish tank with 3 ft of clear water back in the mangroves with tons of fish, some who came to check us out. We confirm our Friday slip at Ponce Marina, so internet shopping and scheduling appointments begins. (As luck would have it, our packages would all arrive by Tuesday, but not without some coaxing. Amazon Prime is 5-14 days?! A part the Captain ordered was in stock, but now it will be 3 weeks?! No, I want it delivered BY Tuesday, not ON Tuesday. Don't hold it another day. PLEASE SHIP IT NOW!) I also have trouble making a vet appointment. It turns out it is hard to find a vet in PR. San Jacinto Restaurant at the ferry dock. Cheap eats. Kelly Nicole arrives so we headed over to San Jacinto Restaurant (at the ferry dock) for drinks. 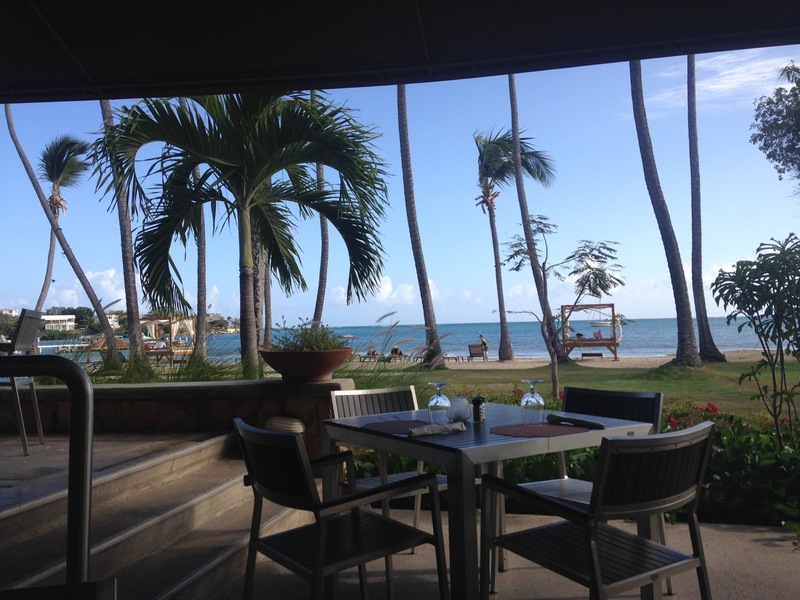 The vegetarian coaxes an excellent meal out of the pescado (fish) restaurant. On a tiny slip of paper, they had printed, “Special. Arroz y pigeon peas. Papas fritas or plantanas. $4.99.” Score! The day before our anticipated departure, it rains all day. I call it a snow day on a boat. No going out in the dinghy. Very little work can be done. Curl up with a cup of tea and a book. Again, crummy weather (winds!) delays our 17 mile trip to Ponce for another day. Stats: Total time 2:25, avg speed 5.1 kts, total mileage 12.3 nm. Motored 2 engines. Goof balls. Both of you! "Beyond the East the sunrise, beyond the West the sea. And the East and West the wander-thirst that will not let me be." "...Where there are many, there is strength. Where there is one, there is adventure..."
Where in the world is Odin?